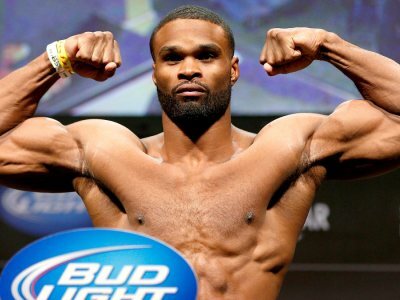 UFC welterweight champion Tyron Woodley crushed Darren Till on Saturday at UFC 228. Till was actually the favorite going in to this fight according to the consensus odds so the annihilation was that much more surprising. The popular site Fight Metrics painstakingly compiles the data for each fight to ensure its accuracy. Taking a look at the Woodley vs Till bout will give you an idea just how amazing the champion truly is. Woodley landed 57/79 significant strikes to Darren’s 0/6. He didn’t get hit by one single strike of note which in and of itself is incredibly especially since it was a title fight. Till landed 1/7 of the total strikes he threw while Tyron obliterated him with 74/97. In the takedowns and knockdowns department it was all Tyron there, too. He had 1 knockdown and 4 takedown attempts and even though they were unsuccessful – Till couldn’t muster a single one of his own. Looking at the data and not the chaos of the fight we can see that Darren Till with all of the hype only landed a single strike coming in to this fight as the favorite. As Han Solo said, “Never tell me the odds”.